Product #21806 | SKU NYS373-9 | 0.0 (no ratings yet) Thanks for your rating! 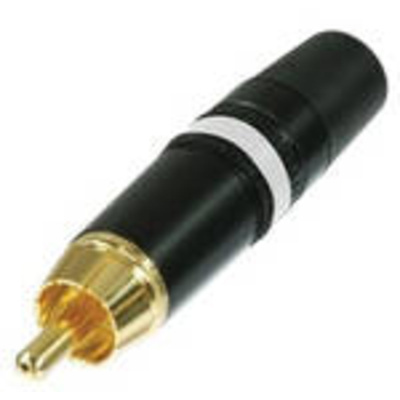 The Neutrik NYS373-9 DIN RCA Plug (White) is a heavy-duty phono plug. It features black shell covering, gold plated contacts, rubber boot for best anti-kink protection, chuck-type strain relief for the cable, and a color-coded ring.